Well the Missus and I trundled up to the Peabody Essex Museum yesterday to catch WOW® World of WearableArt™ and, say, it was . . . wow. For the last 25 years, New Zealand has hosted an annual design competition that challenges sculptors, costume designers, textile artists and makers of all stripes to explore the boundary between fashion and art, and to “get art off the walls and onto the body.” The WOW® World of WearableArtTM competition is the country’s largest art event and each year it culminates in a live runway show for winners in front of an audience of 50,000. WOW® World of WearableArtTM — the exhibition — presents 32 ensembles the competition’s most unique, spectacular and outlandish wearable artworks. 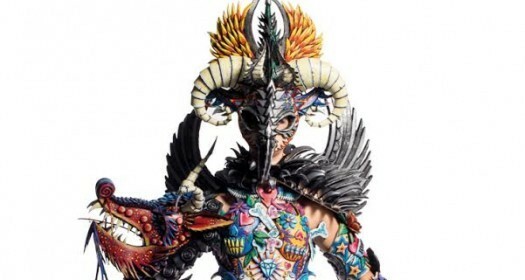 Expertly crafted in a range of materials, from wood and aluminum to fiberglass and taxidermy, these creations celebrate lavish creativity and push the limits of wearability. PEM is the exclusive U.S. east coast venue for this interactive and theatrical exhibition. That’s Notre-Dame Cathedral, crafted entirely of felt. The exhibition runs through June 11. You really should see it. 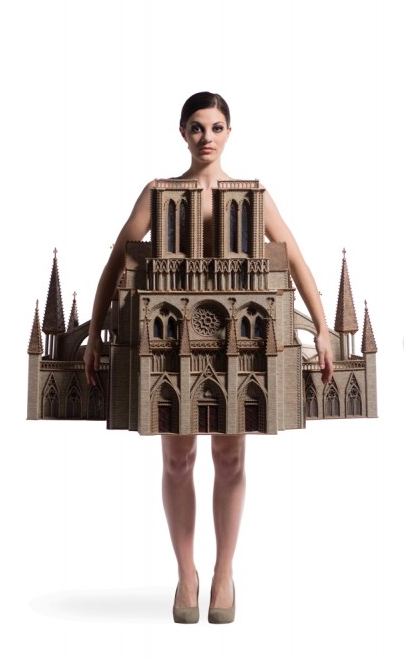 This entry was posted in Uncategorized and tagged New Zealand, Notre-Dame Cathedral, Peabody Essex Museum, PEM, WOW® World of WearableArt™. Bookmark the permalink.